Fabulous Flowers have recently had some fantastic mentions in the press. Please click on the images to read more. An elegant hunting lodge wedding of white roses, orchids and hydrangea for Kelly of Princess Patisserie. Our Stephanotis snowflake roses, ranunculus & lily of the valley bouquet wrapped in pearl pinned dress fabric was recently featured in Asian Bride Magazine! We are regularly asked to contribute designs to Wedding Flowers Magazine and here are our mixed flower designs from the Nov/Dec 2012 issue which is for sale in shops now and jam packed full of flower info for brides and a great resource for wedding florists. We are delighted to announce that Fabulous Flowers now feature in the Wedding Bible Planner, the best selling wedding planning book. We were recently credited on the Tickled Pink magazine website supplying flowers for Mark and Darren's Civil Partership. 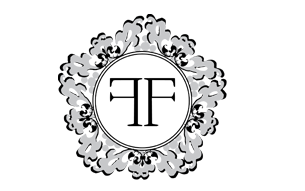 Gary was quoted as saying "Concentrate your floral budget on the areas of your venue where guests will spend the most time and where photographs are going to be taken "
Fabulous Flowers have recently been included in the 2011 Tatler Party Guide. 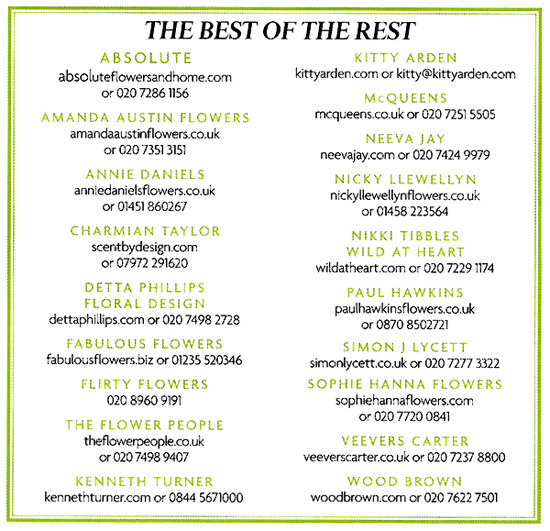 Named alongside others as SUPERSTARS in the UK Florist industry, we are overjoyed at this amazing endorsement. If you have a copy, flick to page 52. You can also click the image to the left, so see a magnified view. Click the image above to see a larger version.